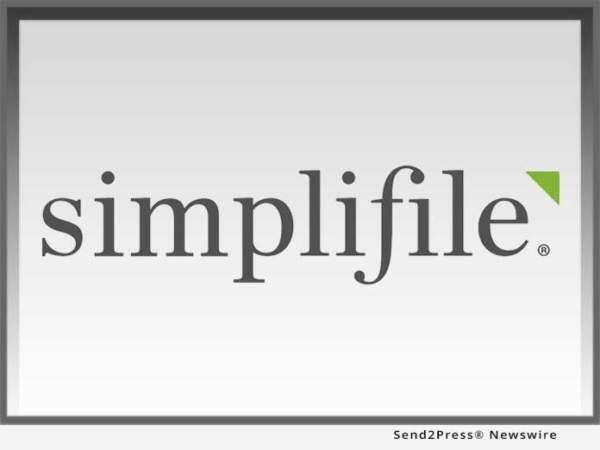 PROVO, Utah, Oct 20, 2017 (SEND2PRESS NEWSWIRE) — Simplifile, a leading provider of real estate document collaboration and recording technologies for lenders, settlement agents, and counties, today announced that 31 additional recording jurisdictions throughout the Northeast, Southeast and Mid-Atlantic have signed on to Simplifile’s e-recording platform. * Town of Cheshire, Conn.
* Town of Deep River, Conn.
* Town of Fairfield, Conn.
* Town of Middlebury, Conn.
* Town of North Branford, Conn.
* Town of Portland, Conn.
* East Feliciana Parish, La. * Red River Parish, La. * Northern Essex County Registry of Deeds, Mass. * Prince George’s County, Md. Recording offices in these jurisdictions can now electronically receive, stamp, record, and return documents through Simplifile’s system in a matter of minutes. In addition to reducing documentation and processing errors, Simplifile allows settlement agents to submit recording fees and other recording-related expenses directly through an integrated electronic payment system, thereby eliminating check-writing expenses. Currently, 1,682 U.S. county recording offices use Simplifile to e-record deeds, mortgages, and other documents. For a current list of all jurisdictions within the Simplifile e-recording network, visit https://simplifile.com/e-recording-counties. To learn more, visit https://simplifile.com/ or call 800-460-5657.